TEMPO.CO, Jakarta - Vice presidential candidate number 02 Sandiaga Uno thanked the Indonesian people for supporting them, and urged them to vote for the Prabowo Subianto-Sandiaga Uno pair for a better Indonesia. He also pledged when speaking at the closing session of the final presidential debate here on Saturday that he would not take his salary if the duo received mandate of majority of voters on April 17. Sandiaga Uno said that Allah SWT (God) is so easy to turn the hearts of any of the eligible voters to cast their vote for the best pair of candidates. 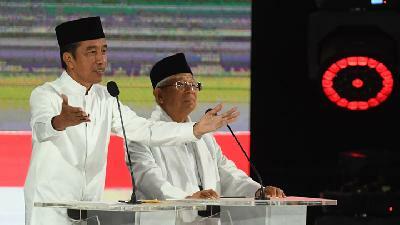 "It is time for all of us to come to ballot booths on April 17, and cast your votes for the Prabowo-Sandi pair. If you are all keen to have a clean government, affordable prices of basic commodities, and excellent services of Healthcare and Social Security Agency, please choose us," he said. For the youths and millennials who are keen to work, or farmers who wish to see imported basic commodities get stopped, they were also urged to cast their votes for the Prabowo-Sandi pair, Sandiaga Uno said. 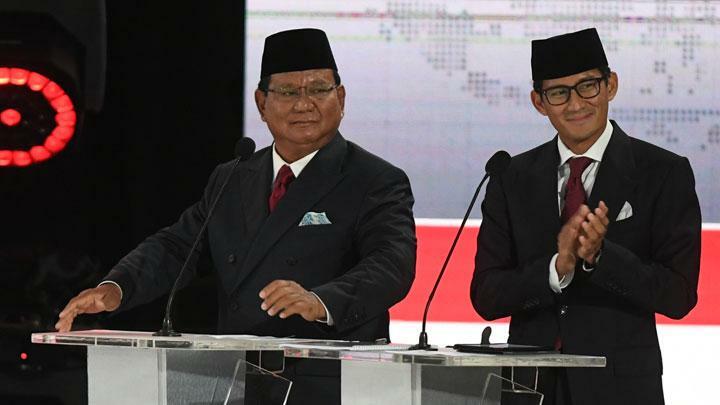 The similar calls were also echoed by Prabowo Subianto who thanked ulemas and religious leaders who had supported him and his running mate, Sandiaga Uno for competing in the presidential race. He vowed to meet his political contract that he had signed before the ulemas who had recommended his candidacy. Prabowo Subianto also pledged to defend all segments of the Indonesian society, including the fishermen, labourers, millennials, and "ojek" (motorcycle taxi) drivers. This final round of debate prioritized critical matters concerning the economy, social welfare, finance and investment, as well as trade and industry. 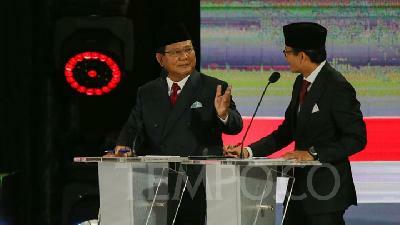 Following the end of this final debate, Indonesia enters the colling-off period. The third debate, on March 17, drew focus to educational, employment, health, as well as social and cultural issues, while the fourth round, covering international and ideological issues, was organized on March 30.